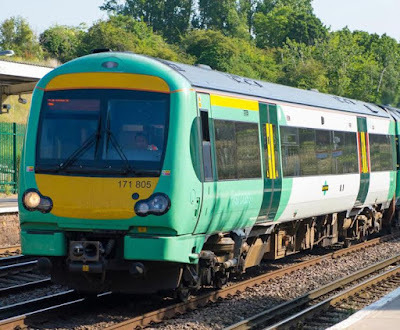 Rail passengers will soon be able to claim compensation if their train is more than 15 minutes late under an improved compensation scheme announced by the Department for Transport (DfT). ‘Delay Repay 15’ will be introduced within months on Govia Thameslink Railway services, including Southern, and then rolled out across the country. Passengers will be able to claim 25% of the cost of the single fare for delays between 15 and 29 minutes. The existing compensation thresholds will apply for delays from 30 minutes with passengers able to apply for compensation through the train operating company. We recognise that, above all else, passengers want a reliable train service, but when things do go wrong it is vital that they are compensated fairly. ‘Delay Repay 15’ is a major improvement for passengers and we are working with train companies to make it as easy as possible for passengers to claim their rightful compensation. Together with the Consumer Rights Act, this policy shows we are putting passengers first and making sure they receive due compensation for poor service. Following its introduction on GTR services, ‘Delay Repay 15’ will be rolled out across the network starting with the new South Western, West Midlands and South Eastern franchises. ‘Delay Repay’ is currently operated by the majority of operators and a number of existing franchises, including Virgin Trains West Coast and c2c have also taken steps to introduce automatic compensation for certain ticket types. As well as ‘Delay Repay’, the introduction of the Consumer Rights Act on 1 October 2016 strengthened the right of passengers to claim compensation for poor service.